Chaos and confusion ensue in this classic comedy of errors! 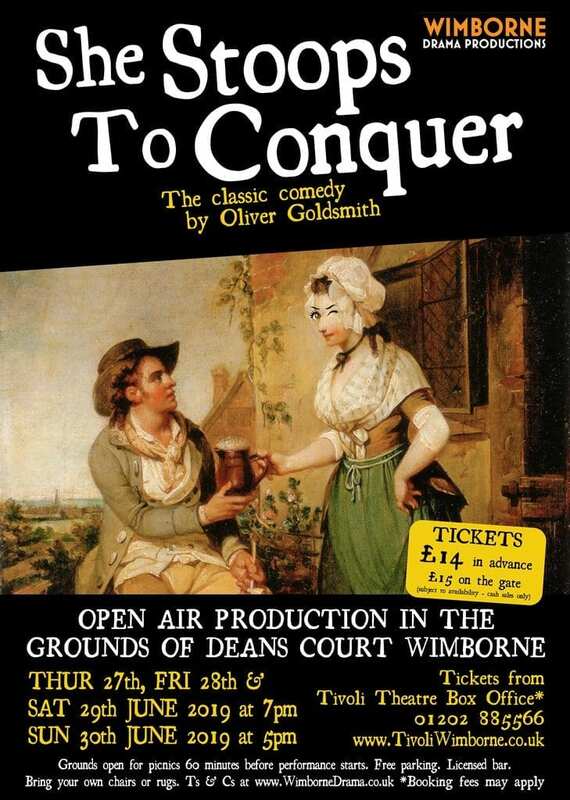 So bring a picnic, something to sit on, and relax in the glorious grounds of Deans Court as you watch one of the great comedies of the English language. Directed by Richard Neal. Grounds open for picnics 60 minutes before performance starts. Vehicle access ONLY via Poole Road (BH21 1QF). Pedestrians ONLY via the Deans Court Lane entrance (BH21 1EE). Free parking. Licensed bar. Please bring your own rugs or low-backed seating. Performances will continue in most weather, including wet weather, so bring appropriate clothing. Refunds will only be issued in the unlikely event that a performance is cancelled before the play starts.